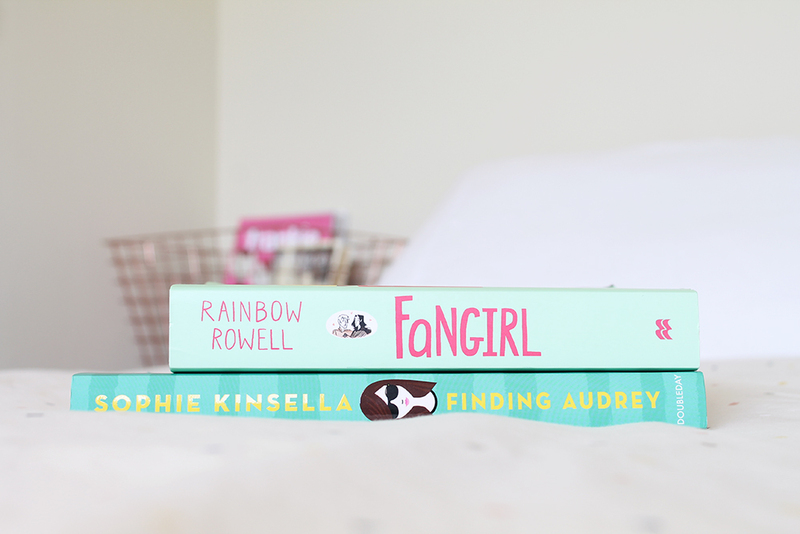 My Favourite Books of 2015 | emma etc. 2015 has definitely been my year for reading books. As of when I'm writing this, I have read 37 books out of my goal to read 30. That amount of books is probably not much to some people, and a lot to others, but I'm so glad I decided I was going to read much more frequently and dip my head into the world of YA fiction and Good Reads. I have six books here which I think are my favourite books that I've read this year, so read on if you'd like some recommendations. As usual, there won't be any spoilers, only vouches of love. Fangirl by Rainbow Rowell: Even though it has been a little while since I finished this book, I remember being besotted with it. I think some people really love this book while others just think it's okay. What excited me most about this book was the interactions between Cath and Levi - I was eager to keep reading throughout. Like many, I didn't really like the fan-fiction sections because I wasn't excited about them, but I appreciate the incorporation of fan-fiction because this is what this book is about, after all. The romance between Cath and Levi was really sweet and there were funny moments. I just remember really liking Cath as a character, and this was such an addicting read for me. The Art of Being Normal by Lisa Williamson: I feel like this is a book which not many people have heard of, but I strongly recommend reading it. This book centres around the theme of transgender, and I have personally never really read many books that feature transgender characters, let alone have it as the premise of the novel. I'm not sure if it represents every transgender person out there (it more than likely doesn't), but I feel like this has to make one of my favourite books, as I felt emotionally connected to the characters and overall I remember enjoying reading it. Finding Audrey by Sophie Kinsella: This was a super pleasing and easy book to read. I literally flew through it, and it's definitely achievable to read in a day. I'm pretty sure this is marketed at a younger audience, but I still thoroughly enjoyed it. This book deals with the theme of social anxiety, and with anxiety being a topic I have recently read a little on in YA books, I think it was a good depiction of what people with social anxiety may go through. The romance throughout this book was sweet and subtle (obviously - as it's for younger readers) and I thought it was lovely. The ease of reading this, the characters, and the family dynamic are all factors which pressed me to put this as one of my favourite books of 2015. Am I Normal Yet? 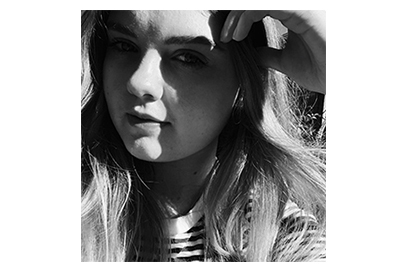 By Holly Bourne: Where do I start? I could profess my love for Holly Bourne for about 10 days straight. If there's one author you read in 2016, it should be this one. This book also centres around mental illness (this time OCD), like Finding Audrey, and I think it is done well. I absolutely loved reading the feminist ideals that popped up everywhere in this book, and it was just another element to an important book about Obsessive Compulsive Disorder. All The Bright Places by Jennifer Niven: Since reading this I have come across views that this book glamourises mental illness, but I didn't get that impression from this book when I was reading it. I just simply fell in love with the story, and especially one of the main characters, Finch. There was this undeniable light and quirkiness about Finch which I completely loved, and I have to say, he is one of my favourite characters I've read this year. This was a beautiful story overall, and I think you should just read it and make your own mind up about it (and maybe have a box of tissues at the ready). Trouble by Non Pratt: What I remember liking most about this book was the portrayal of teenage life in Britain and of course, the main theme of teenage pregnancy. I loved the characters in this book, not to mention the interchanging perspective between Hannah and Aaron. I think I found myself liking Aaron's perspective the most - I liked the whole dynamic of Aaron being the new guy at school and sort of falling into Hannah's problems. I feel like this is such an easy book to get into and a really good YA fiction read. Are any of these in your top books of 2015 list? I would also love to have your recommendations for books I should read in 2016.